The Clear Power Surge Protector/Power Strip provides easy access to clean and safe power. The 6-outlet surge protector/power strip fits securely under the Tether Table and will be there when you need it to power a laptop computer or recharge camera batteries. The Clear Power Surge Protector/Power Strip provides easy access to clean and safe power. The 6-outlet surge protector/power strip fits securely under the Tether Table and will be there when you need it to power a laptop computer or recharge camera batteries. Once installed, the surge protector can easily be attached or removed from the Tether Table as needed. 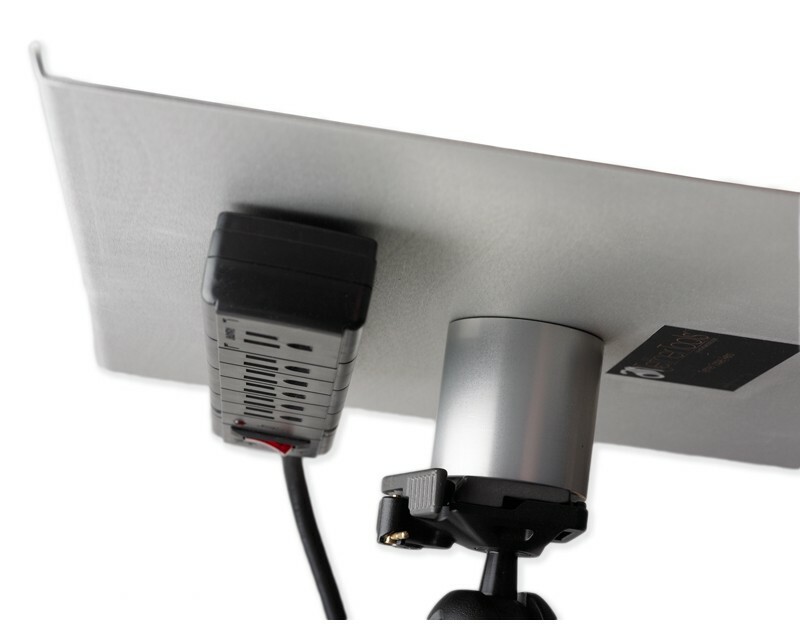 Installation is easy with included heavy-duty hook & loop fastener designed for under-mounting on any Tether Table Aero.